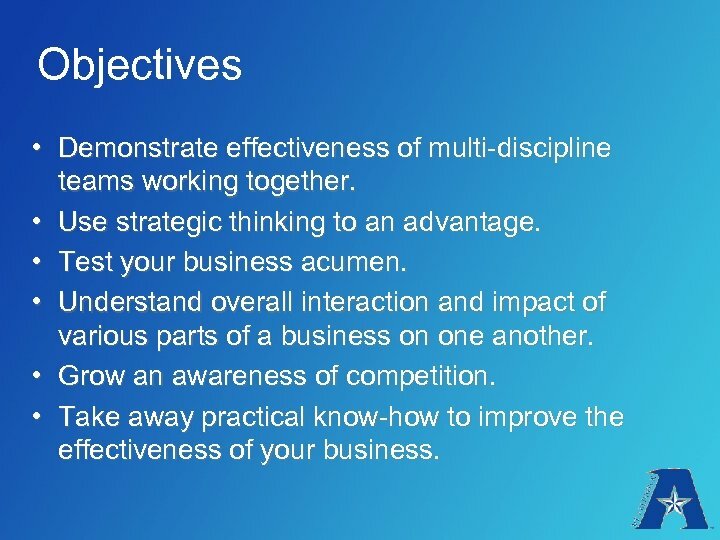 Objectives • Demonstrate effectiveness of multi-discipline teams working together. 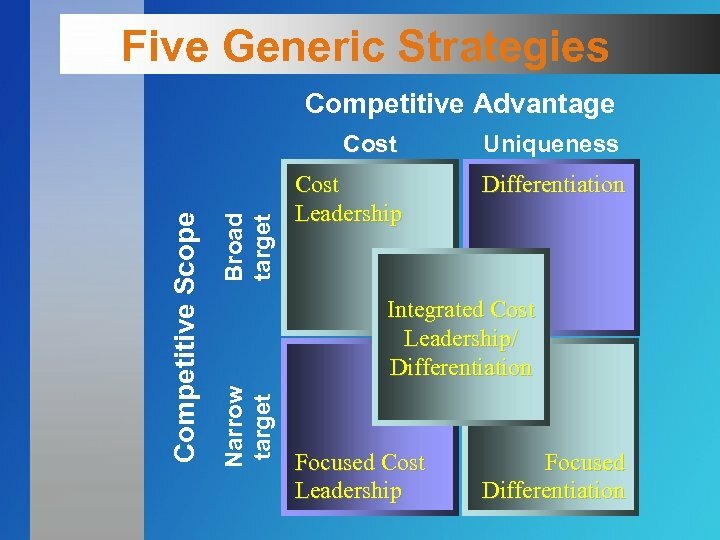 • Use strategic thinking to an advantage. 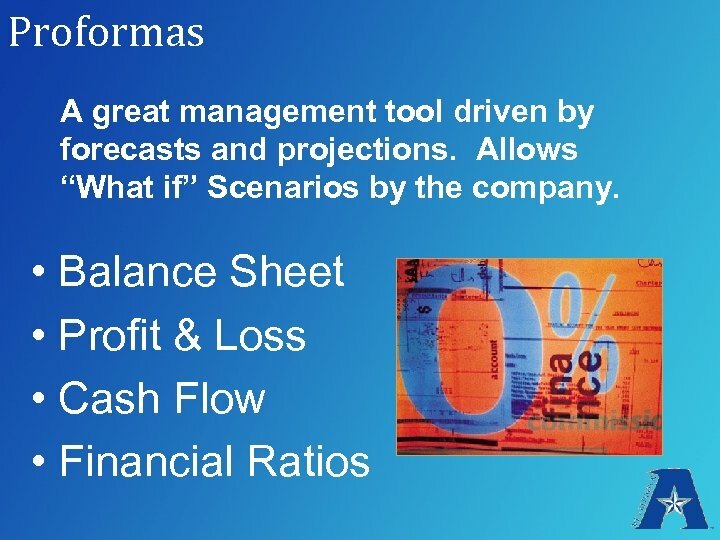 • Test your business acumen. 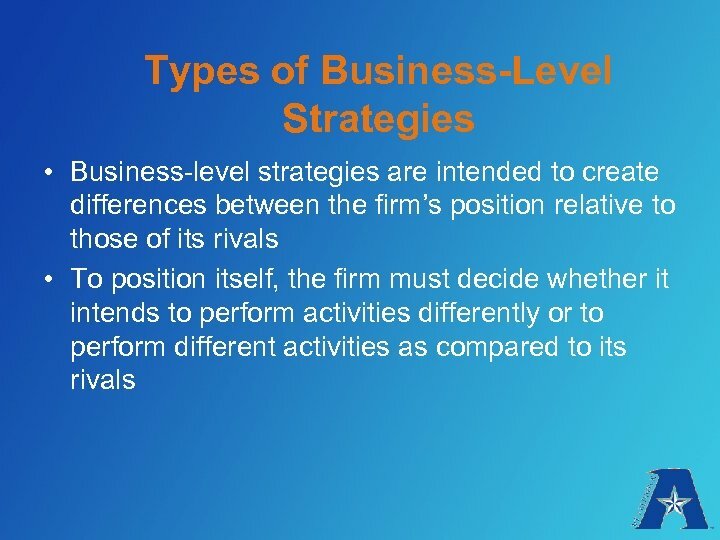 • Understand overall interaction and impact of various parts of a business on one another. 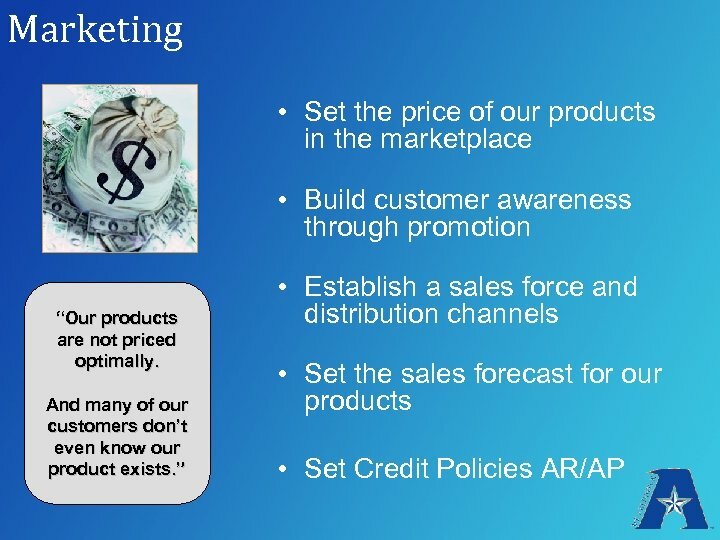 • Grow an awareness of competition. 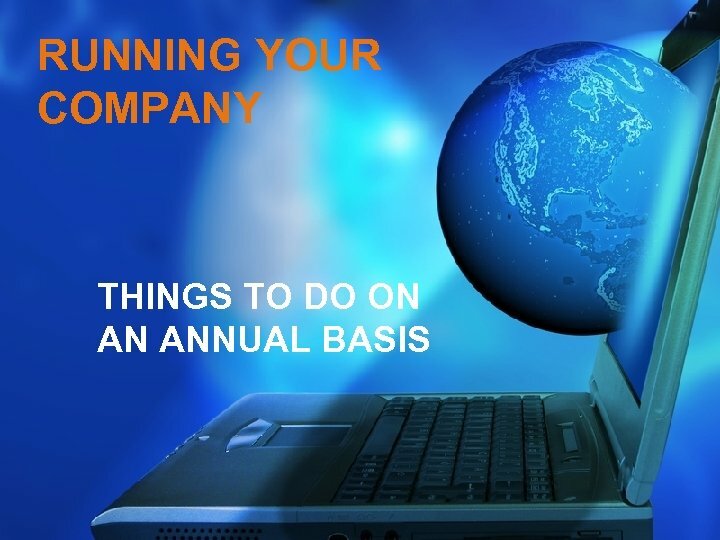 • Take away practical know-how to improve the effectiveness of your business. 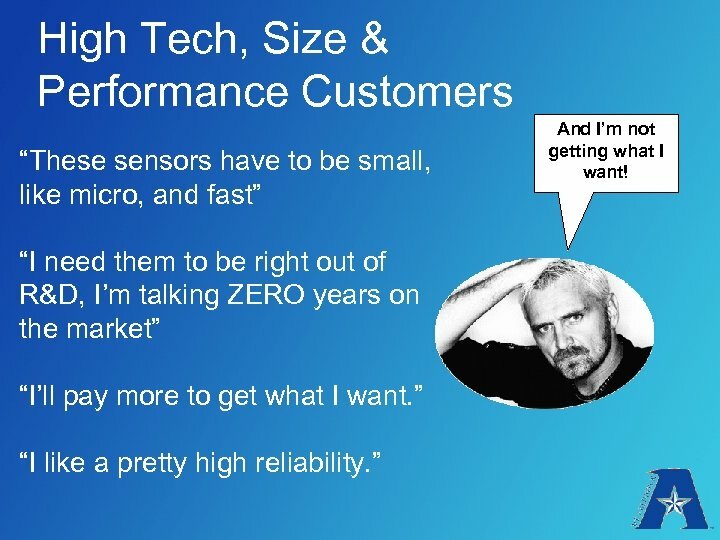 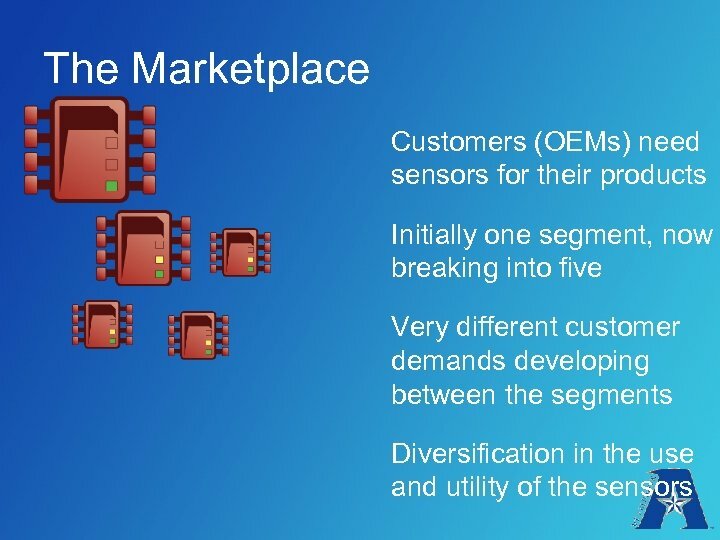 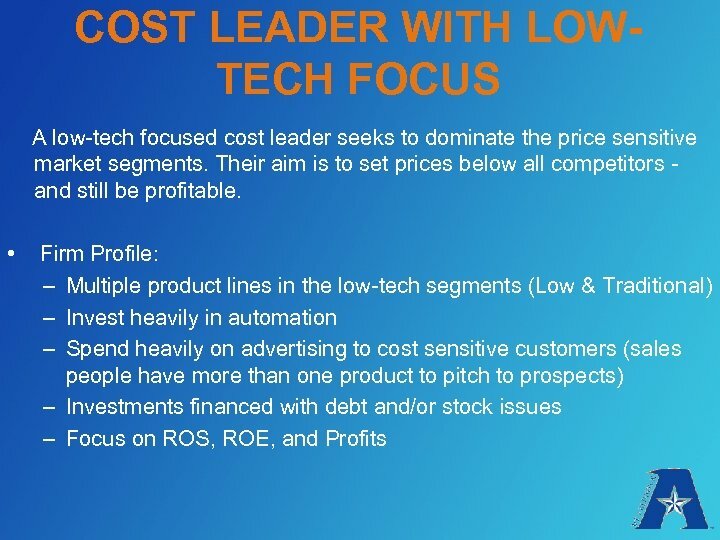 High Tech, Size & Performance Customers “These sensors have to be small, like micro, and fast” “I need them to be right out of R&D, I’m talking ZERO years on the market” “I’ll pay more to get what I want. 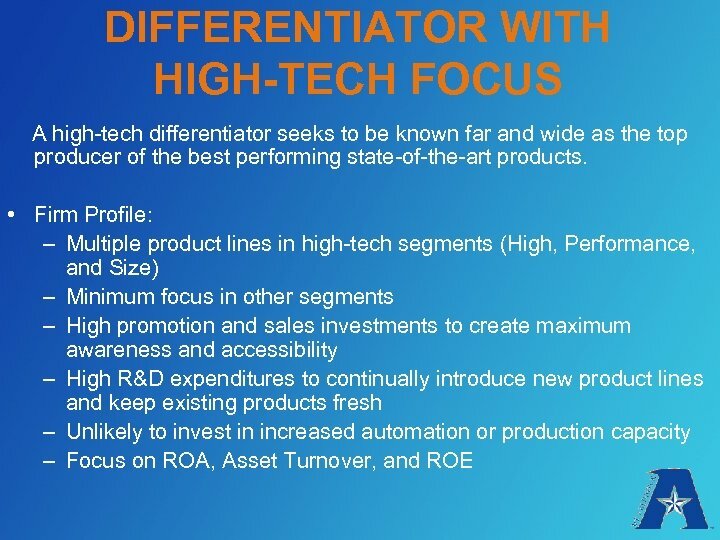 ” “I like a pretty high reliability. 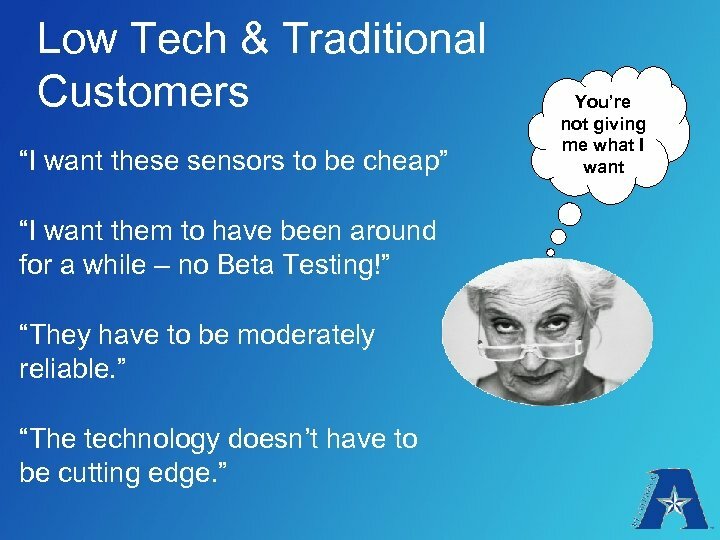 ” And I’m not getting what I want! 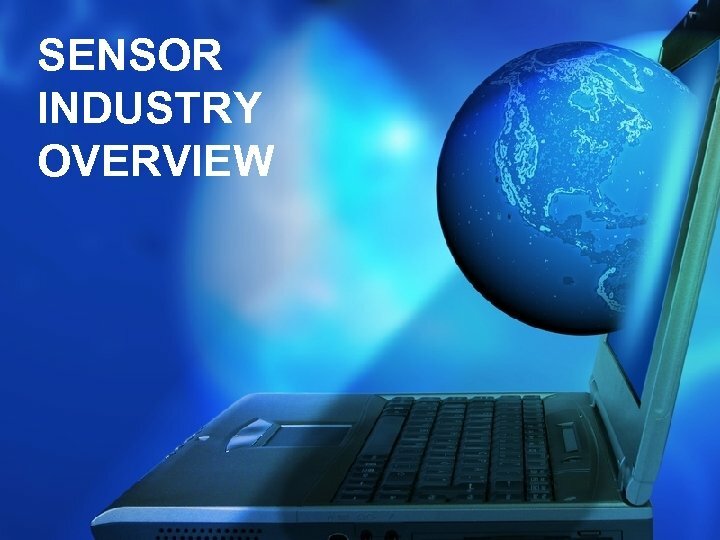 SHAKE UP IN SENSOR INDUSTRY Company Fires Management Team After poor results, lackluster sales and angry customer reports, the Chairman of the Board of Directors has announced the immediate termination of the Management Team. 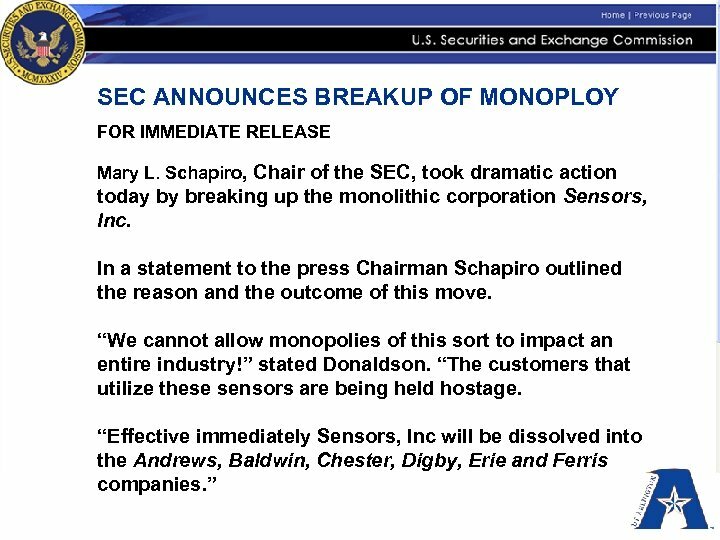 “This is a black day for our company, ” said Chairman Jeffrey E. Mc. 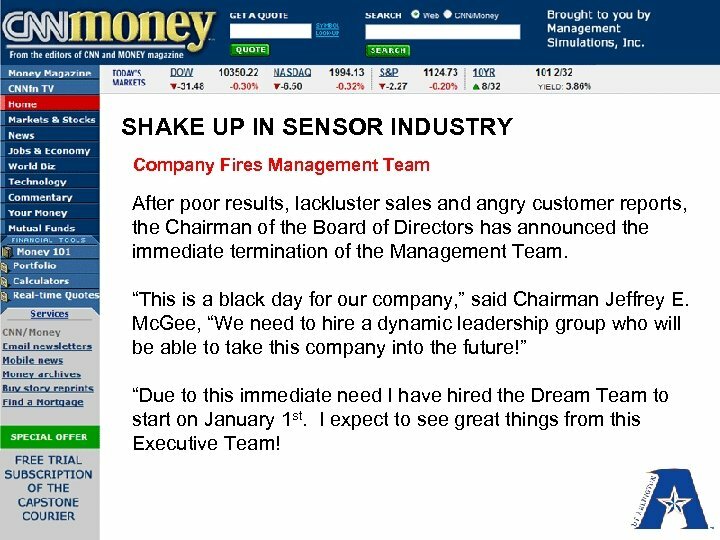 Gee, “We need to hire a dynamic leadership group who will be able to take this company into the future!” “Due to this immediate need I have hired the Dream Team to start on January 1 st. 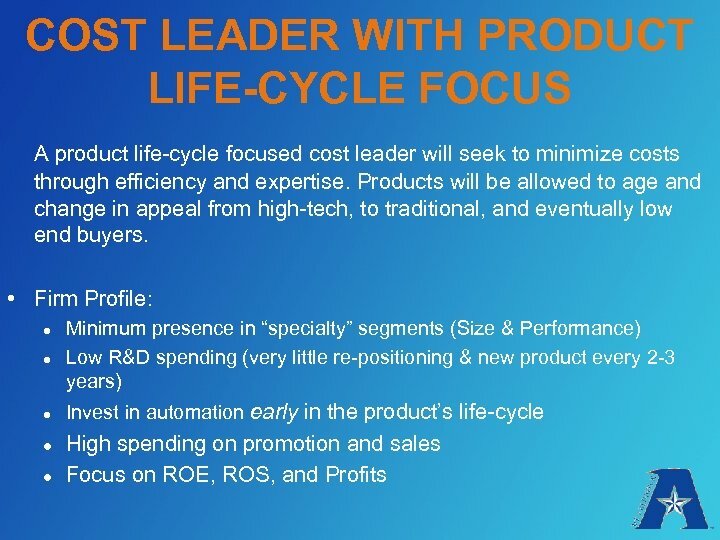 I expect to see great things from this Executive Team! 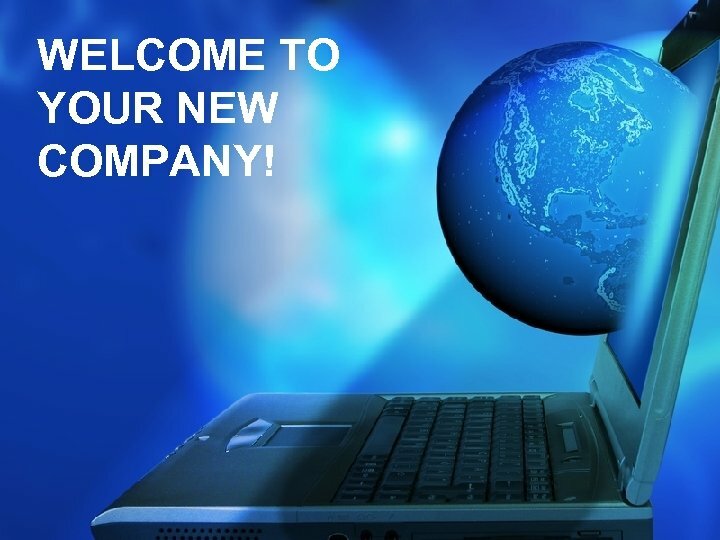 WELCOME TO YOUR NEW COMPANY! 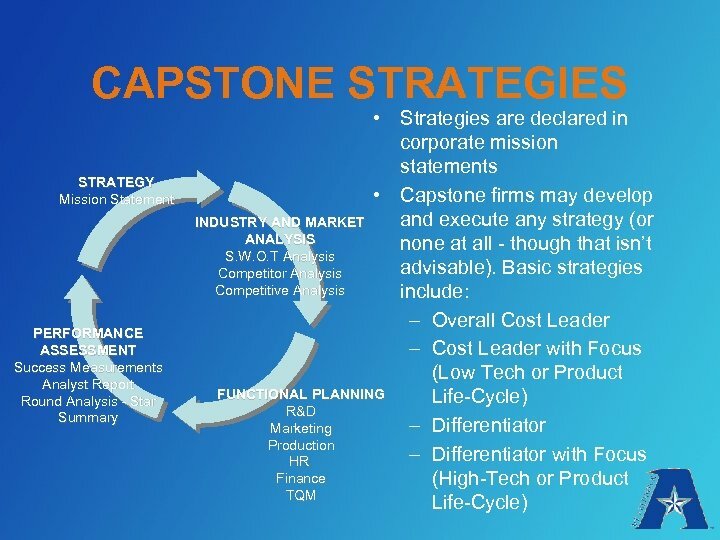 To Do List • Establish business strategy for your company • Analyze Capstone Courier to see industry results • Make tactical decisions across each functional area (aligned to strategy!) 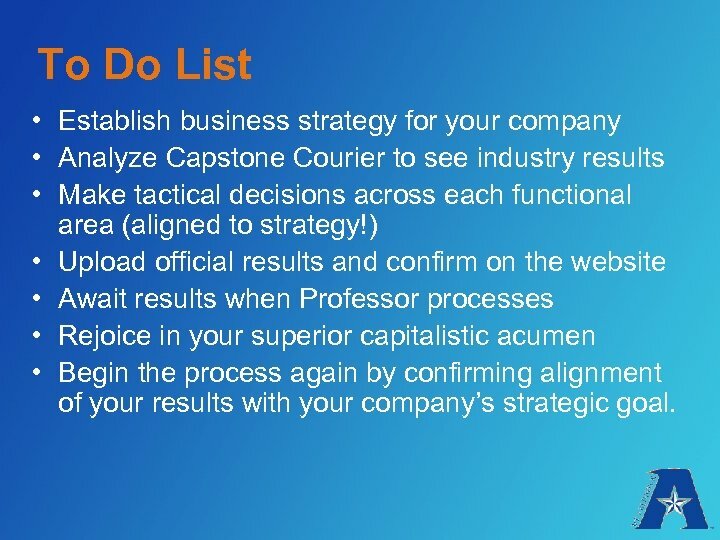 • Upload official results and confirm on the website • Await results when Professor processes • Rejoice in your superior capitalistic acumen • Begin the process again by confirming alignment of your results with your company’s strategic goal. 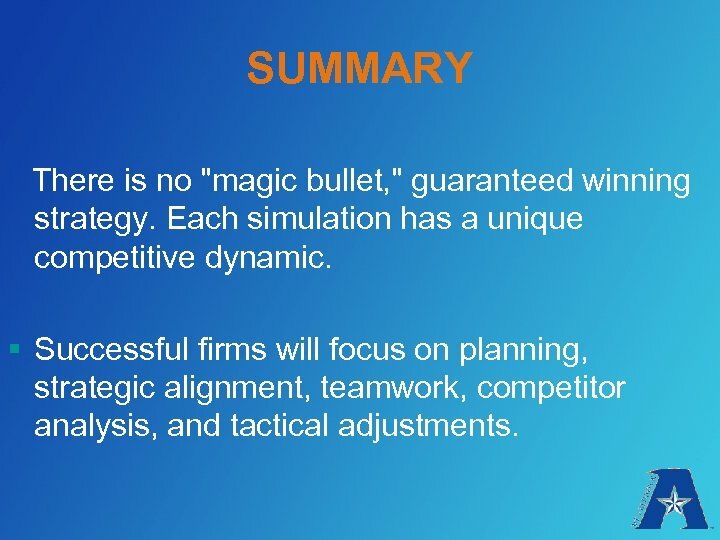 SUMMARY There is no "magic bullet, " guaranteed winning strategy. 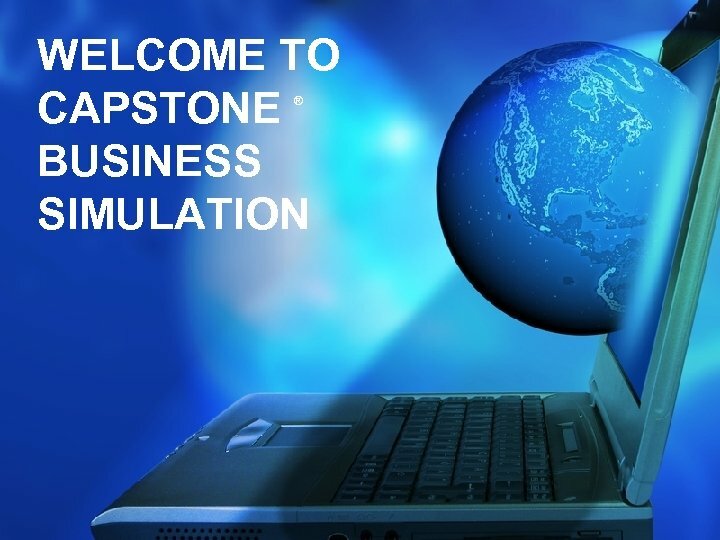 Each simulation has a unique competitive dynamic. 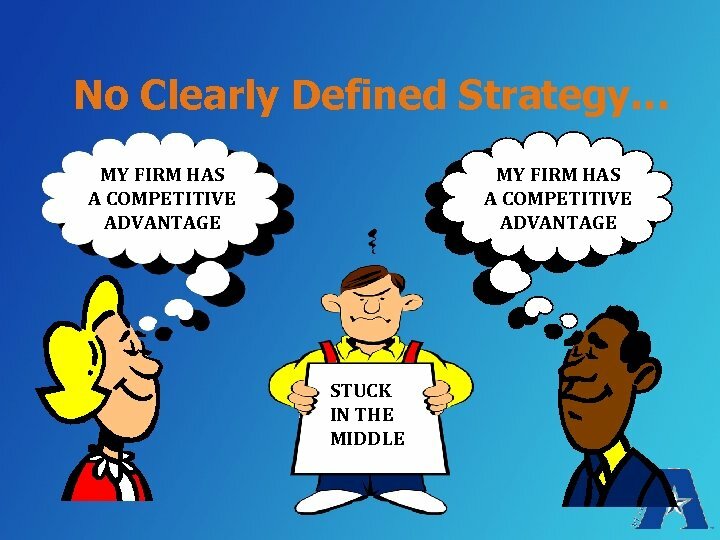 § Successful firms will focus on planning, strategic alignment, teamwork, competitor analysis, and tactical adjustments. 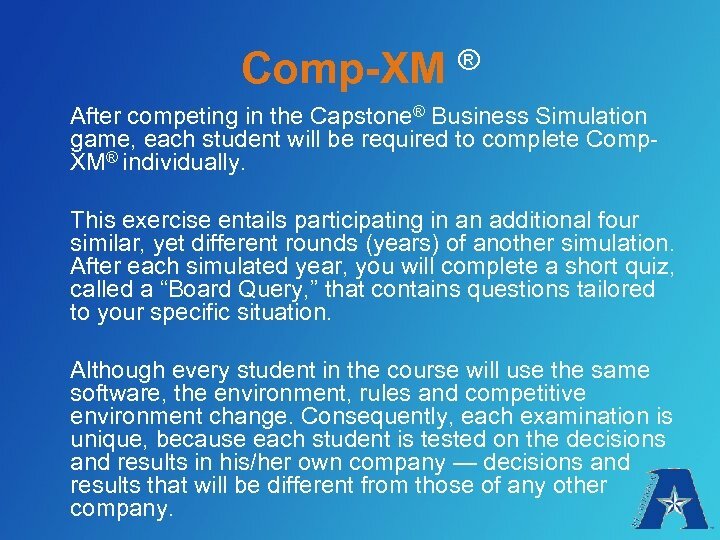 Comp-XM ® After competing in the Capstone® Business Simulation game, each student will be required to complete Comp. 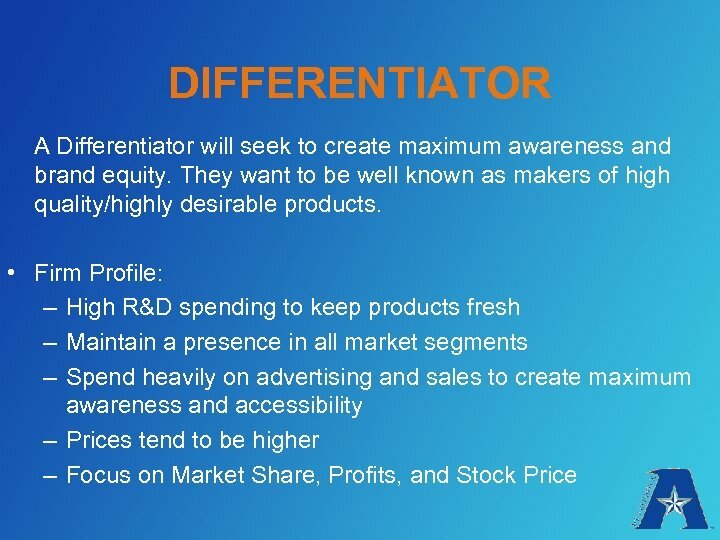 XM® individually. 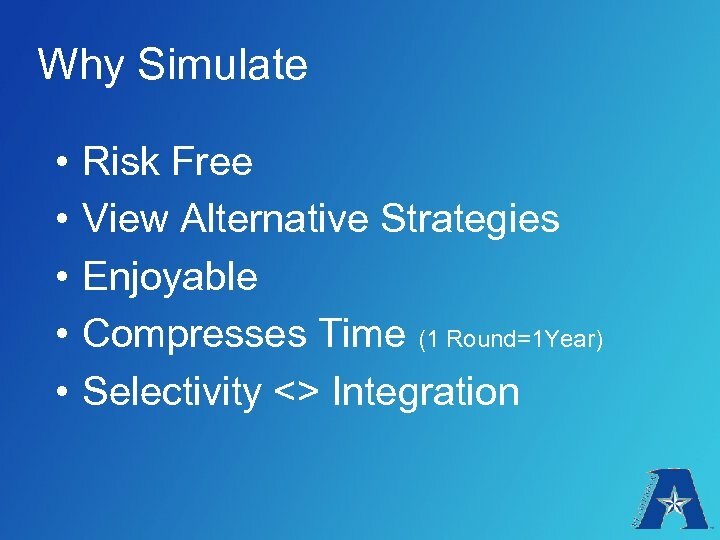 This exercise entails participating in an additional four similar, yet different rounds (years) of another simulation. 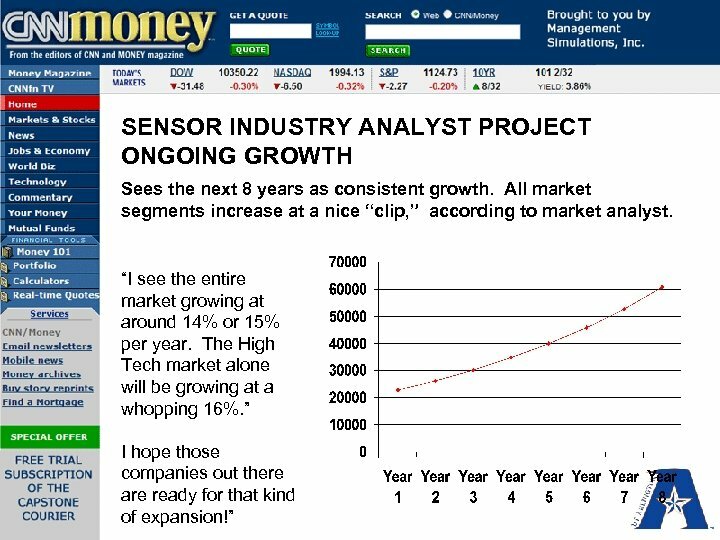 After each simulated year, you will complete a short quiz, called a “Board Query, ” that contains questions tailored to your specific situation. 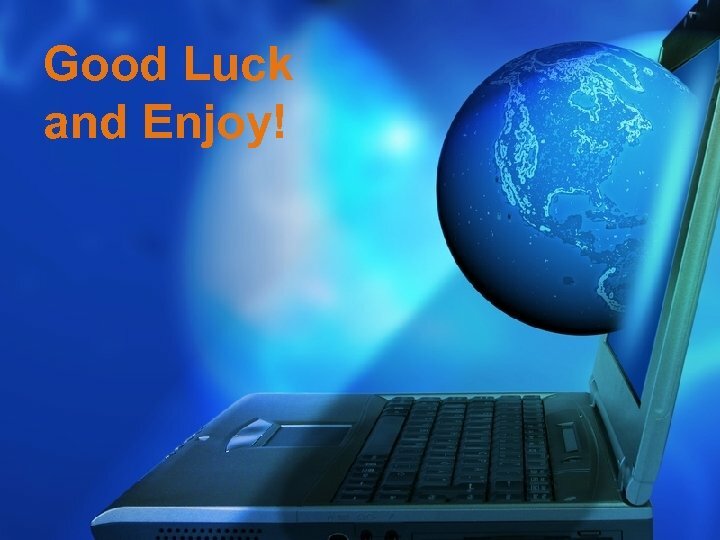 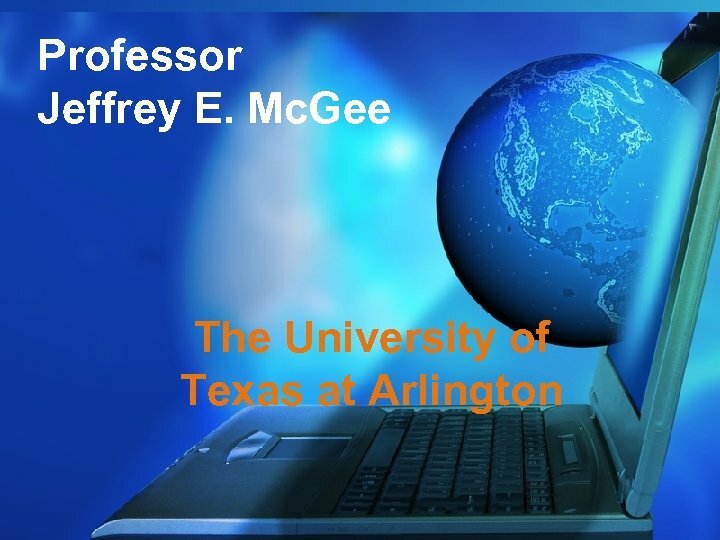 Although every student in the course will use the same software, the environment, rules and competitive environment change. 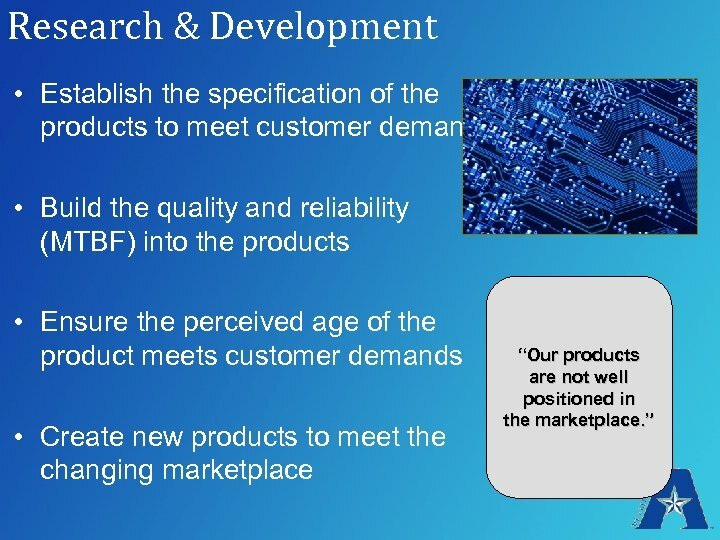 Consequently, each examination is unique, because each student is tested on the decisions and results in his/her own company — decisions and results that will be different from those of any other company. 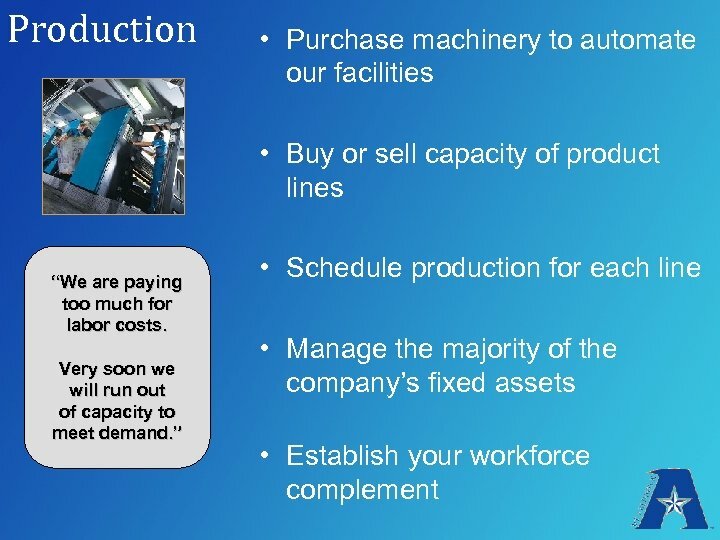 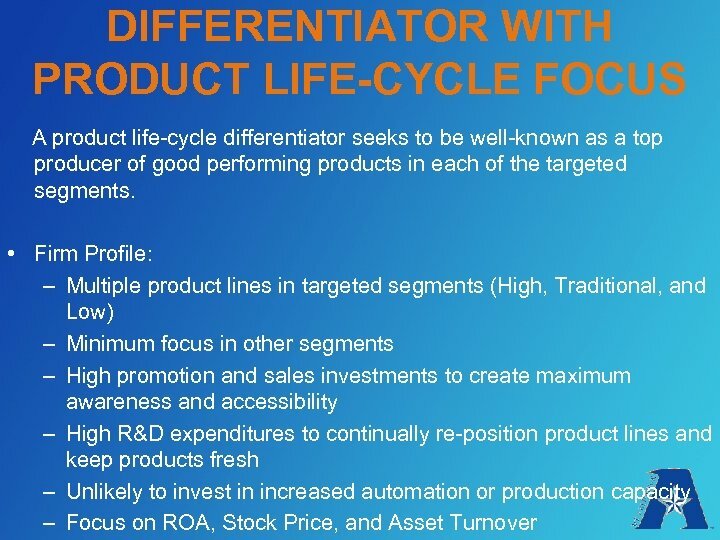 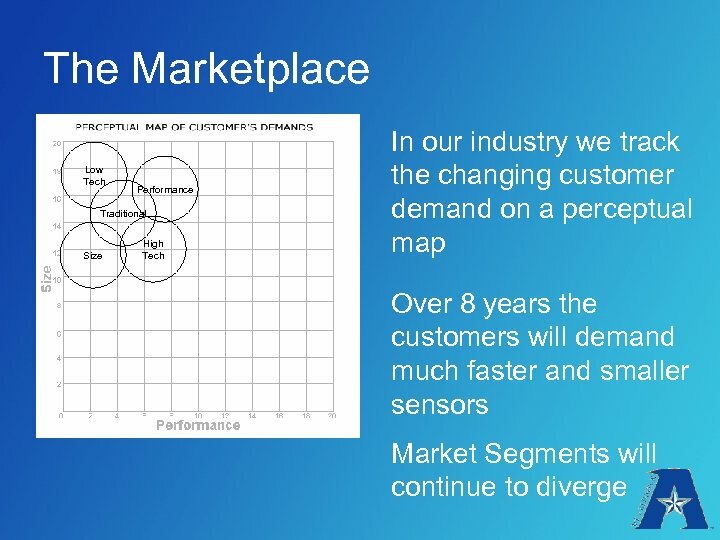 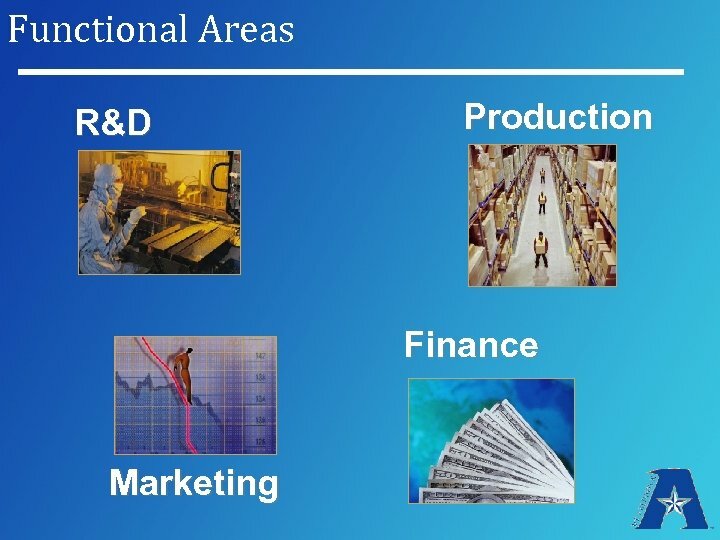 Comp-XM ® The Comp-XM® industry has four market segments. 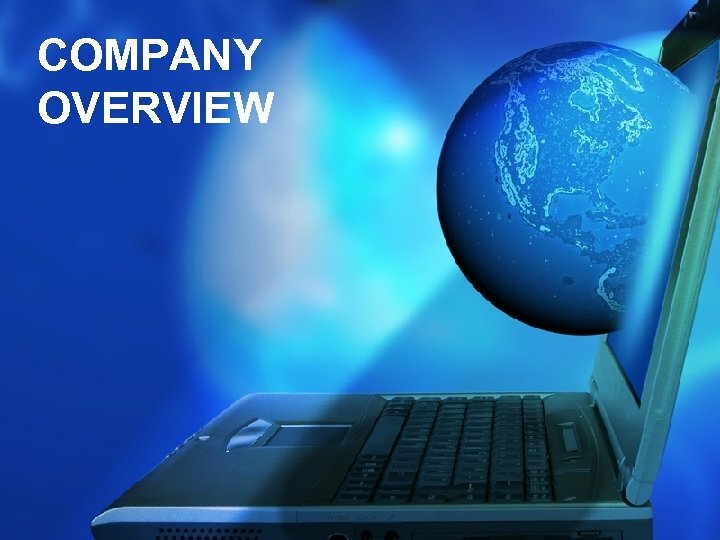 Each individual participant is the sole decision maker for the Andrews company. 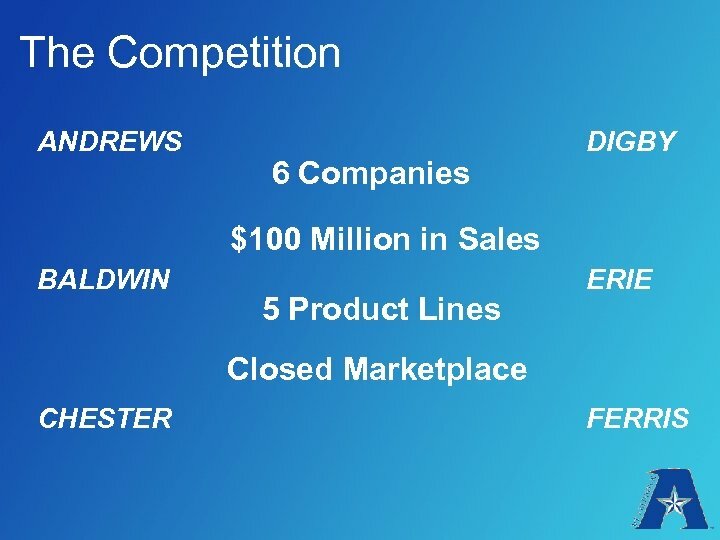 Andrews competes against three computer companies, Baldwin, Chester and Digby. 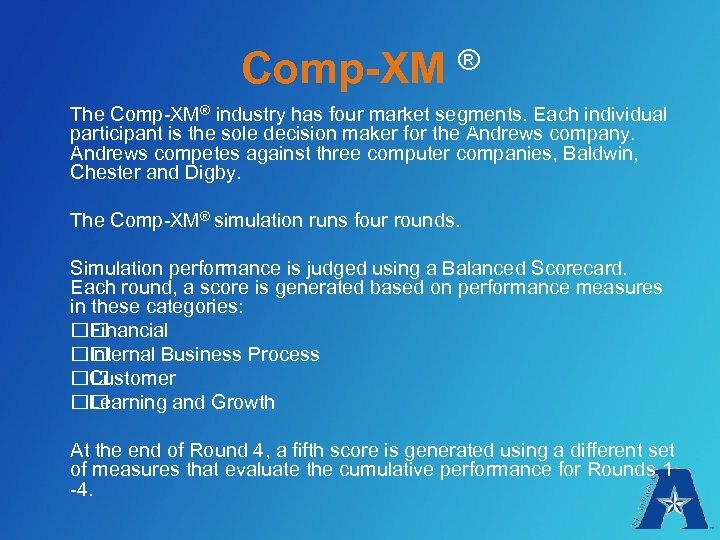 The Comp-XM® simulation runs four rounds. 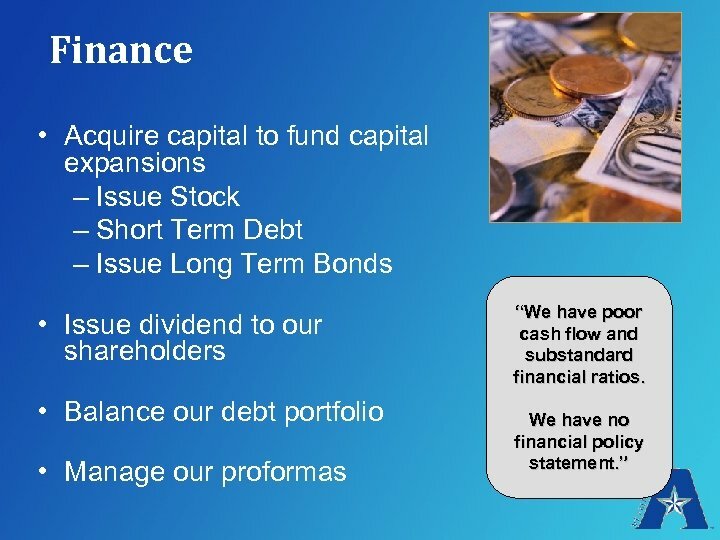 Simulation performance is judged using a Balanced Scorecard. 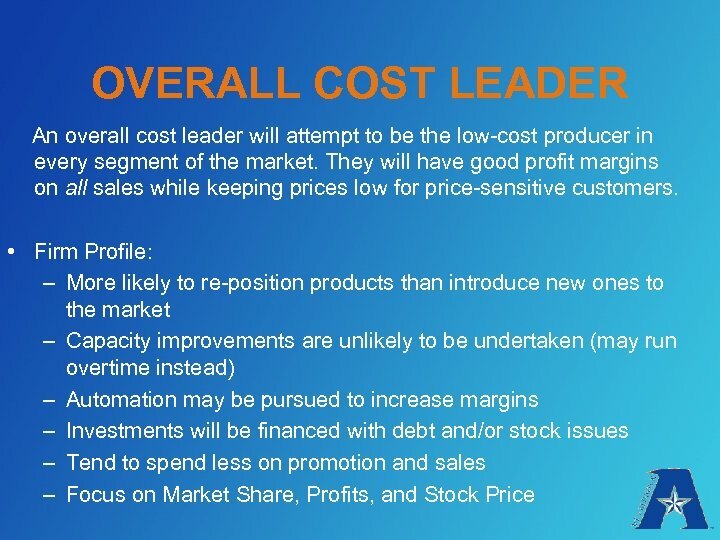 Each round, a score is generated based on performance measures in these categories: Financial Internal Business Process Customer Learning and Growth At the end of Round 4, a fifth score is generated using a different set of measures that evaluate the cumulative performance for Rounds 1 -4.